The Minor/Certificate in Advocacy and Public Engagement affirms the role of students and scholars as active citizens, community leaders, and partners in empowerment. This minor draws on the Department’s long-standing strengths in Applied Anthropology, or Public Anthropology as it is more generally known today. This sub-field encourages student activism by offering a critical, cross-cultural perspective on major public issues, and demonstrates how to effect change by drawing on political forces outside the discipline. The Minor/Certificate offers training that employs anthropological perspectives that bridge the academic and non-academic sectors. Recognizing the value of anthropological insights and methods for solving today’s complex social, economic, and environmental topics, the program offers a choice of theoretical informed perspectives on issues and movements related to mental health/disability, the environment, human rights, reproductive rights, refugees/migration, First Nations, race/racism, gender and sexuality. Throughout the program, emphasis is placed upon high impact experiential education (EE) training, including ethnographic community based research and a capstone work placement in an non-governmental organization (NGO) or civil society association context. The theoretical coursework, ethnographic research skills and experiential education components on activism, advocacy, and/or community outreach will prepare students for careers which may include: working in community relations and development; for government departments and non-governmental organizations, unions, civic associations and international bodies; or in the field of cultural resources management. In parallel with and as a complement to our Annual Lecture in Anthropology, we will establish an annual event that will highlight our focus on ethnography and the application of anthropological theories and methods in the professionally-engaged context. The primary rationale for the creation of this new annual event is to both highlight and solidify our commitment to our new focused stream in both undergraduate and graduate success in innovative non-academic careers using the skills and training of the discipline. Potentially in combination with the proposed institute for training in ethnographic methods, this annual event (lecture, workshop, or other format) will highlight the ways in which anthropologists are increasingly being employed in the worlds of design, human behaviour analysis, marketing, as well as in the more familiar fields of work with organizations for social change, NGOs and other research and action partners. We anticipate that we will be able to promote professional opportunities for our students at these annual events. 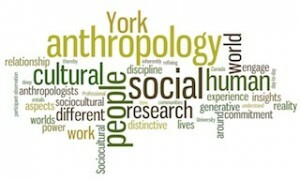 The Summer Ethnographic Institute (SEI) offers resources, mentorship and training in ethnographic theory and method to undergraduate and graduate students in the Department of Anthropology, to York University faculty, and to researchers, scholars and members of the community beyond the University. Working in close partnership with the advanced methods seminar at the Department of Anthropology, the Public Anthropology Collaboratory, and the Centre for Imaginative Ethnography, the SEI offers a one week seminar and intensive workshop series designed to provide a stimulating intellectual environment for engaged considerations of issues, opportunities and directions of ethnographic research, plus instruction in the principles and techniques of ethnographic methodology. The Public Anthropology Collaboratory (PAC) provides a space for peer-mentorship, support and training for graduate students and faculty in the Department of Anthropology at York University. The focus of the Collaboratory is to support the development of projects and pedagogies that have a public dimension. This group aims to both explore and expand what is meant by the term "Public Anthropology" and what it means for research, teaching and community engagement. PAC thus provides a space for those interested in sharing their skills and for those interested in developing new skills. PAC supports the development of public anthropology projects in a variety of forms, including but not limited to: community-led and participatory action research on social justice issues; the formation of NGOs or advocacy work with communities; outreach campaigns that expand anthropology’s publics; and research-creation projects in film, art, or performance that generate new media for anthropological inquiry and expression. Faculty and graduate students interested in expanding their projects to incorporate a public dimension, or those who have any related experience or interest in public anthropology, are invited to join the Collaboratory. Check our Resource Page here. "Anthropological publics, public anthropology": A Roundtable discussion at the American Anthropological Association Annual Conference, 2016. Recommended texts: Public Anthropology in a Borderless World Sam Beck and Carl Maida eds (Berghahn2015); and Anthropology put to work Les Field and Richard Fox eds. (Berg 2007). and the public engagement skills by which critical interventions on the basis of that research may be made. This honours minor/certificate program in Applied or “Engaged” Anthropology requires 30 credits of which 24 credits are required courses. The program provides two high impact Experiential Education Community Based Research opportunities in which the applied anthropology skill set can be applied in real world context. There is one required course at each year level (2 through 4) plus an additional work placement capstone experience. ANTH 2210 6.0 Advocacy & Public Engagement introduces the history and practice of applied and engaged research in anthropology, practices the skills necessary for public engagement and media outreach, and explores the challenges of different roles of advocacy, activism, and collaboration. ANTH 3110 6.0 Acquiring Research Skills provides experiential training in Community-Based Research. ANTH 4340 6.0 Advocacy & Social Movements provides a capstone small seminar experience focused on the advanced academic theory of social mobilization in a wide variety of institutional contexts. ANTH 4130 6.0 The Professional Anthropologist is a final placement experience in which the skills and theories acquired in the core coursework is applied in a real world context. This course concentrates on race and racism as a major source of conflict, particularly in Canadian, British and American societies. The theoretical literature on racism as well as applied models developed to reduce racial conflict will be studied in depth. This course explores the cultural and political significance of colonial discourse in the past and in the present, including an examination of the construction of Euro-American forms of knowledge about other peoples and how these understandings continue to shape global relations of power. A comparative look at visible and non-visible disabilities, the relationship between the disabled and others. Topics include the symbolic and behavioural correlates of physical disability, relationships between the disabled, their support persons and the health professionals. This course examines sexuality from a cross-cultural perspective in order to better understand how sexual practices, moralities and identities are constructed, contested and transformed in relation to cultural, political and economic forces. This course is concerned with furthering the dialogue and mutual engagement between Medical Anthropology and Cultural Psychiatry - in the context of localized communities, multicultural societies, and global networks alike. Applying a pluralized concept of psychiatry, the course will investigate prevalent practices in clinical psychiatry alongside other culturally and historically formulated strategies of coming to terms with locally defined states of mental disorder. It will explore a diversity of modes of experiencing, expressing, recognizing, interpreting, and addressing mental distress, providing participants with a solid theoretical and conceptual basis while, at the same time, exploring a large body of specific empirical case studies. In so doing, the course offers well-contextualized insights into a number of current issues including the pharmaceutical commodification of mental health, the medicalization of difference, personhood and notions of a 'normal' human condition, stigma and idioms of distress, migration and trauma, psychiatric epidemiology and global mental health policy, and symbolic forms of healing. Engaging with ongoing controversies and debates, it encourages new and critical views onto the practical realities and structural challenges of mental disorder and suffering in Canada and beyond. The idea of civil society has stirred social imaginations and political aspirations across the globe in recent years. This course analyzes those contexts where debates over civil society, citizenship, power and the state are located and contested. This course examines the significance and perceptions of race, ethnicity and of nationalism as concepts and as modes of configuring identity and organizing social life cross-culturally. Who are indigenous peoples, how are indigenous peoples defined and who defines them? Is there a universally accepted definition of indigeneity? What are the conditions under which people seek to be identified as indigenous? What rights do indigenous peoples have and how do these relate to human rights more generally? How have economic globalization, the use of new information and communications technologies, and international environmental movements shaped indigenous politics? This course explores how humans make and understand the world through their senses, the history of the senses in a variety of systems of thought and experience, and the meanings and uses of the senses in a range of contexts. Students critically examine and evaluate particular aspects of the senses as they relate to theories and methods of sociocultural anthropology through lectures, demonstrations and experimentation. The rise of globalization has been accompanied by an intensification in both documented and, increasingly, undocumented migration. As the global political economy continues to create conditions of friction, violence and disconnection around the world, illicit networks engaged in the movement of everything from everyday consumer items to live human bodies are proliferating. Migrants are coming to rely on dangerous and elaborate networks of recruiters, transporters and corrupt officials to help them reach places of perceived safety and opportunity. Drawing on recent ethnography on transnationalism, migration, and the informal economy, this course explores the role illicit networks play in global markets, the broader sociocultural transformations illicit networks are bringing about in the places where they operate, and the subjective experience of participating in illicit networks. Among the central questions we will ask are: how and to what degree does globalization spur undocumented migration; how do illicit networks shore-up or undermine modern nation-states; what constellations of power shape these networks; what kinds of human subjects does undocumented migration produce; and what imaginaries are created and/or disrupted by migrants en route and in place. Contemporary and historical First Nations and Indigenous health issues are explored from a medical anthropological perspective. Using ethnographies, case studies and media-related resources, and focusing primarily within Canada, students critically analyze the cultural, political, and social contexts of First Nations health and illness. This course provides an anthropological perspective on the cultural politics of environment and development. Drawing on ethnographic case studies from diverse geographical contexts, the course examines the cultural practices, ideologies and discourses that inform environmental struggles and affect the livelihoods of marginal peoples across the globe. Comparative perspectives on health, illness and medical systems are studied from the viewpoint of anthropology and related disciplines. Emphasis is placed on understanding the roles of the practitioner and patient in their social and cultural contexts and the importance of applied medical anthropology to the wider community. This course surveys anthropology's attempts to confront, analyze, and reframe claims about the nature of human beings implicit in the discourse of human rights. This course explores how gender relations have been deployed in sites of militarized conflict to incite, exacerbate and fuel violence; the reasons for and the ways in which war is increasingly waged on the bodies of unarmed civilians; the massive scale of displacement and the gendered experience of both conflict and asylum, among other topics. Explores the complex relationships between human reproduction, personhood, and citizenship, through anthropological studies of contemporary and historical issues. Topics include: maternity care in North America, new reproductive and genetic technologies at home and abroad, the problem of maternal mortality in the developing world, birth place and citizenship issues worldwide, and colonial interventions in family planning.